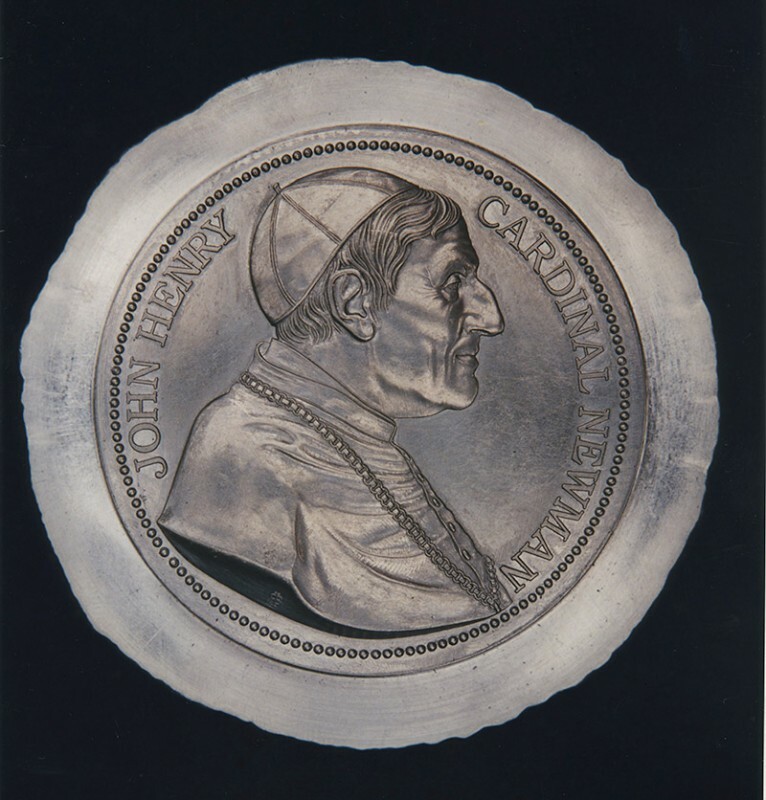 John Henry Newman, 1801 – 1890, also referred to as Cardinal Newman, was an important figure in the religious history of England in the 19th century. He was known nationally by the mid-1830s. Originally an evangelical Oxford academic and priest in the Church of England, Newman was a leader in the Oxford Movement. This influential grouping of Anglicans wished to return the Church of England to many Catholic beliefs and forms of worship traditional in the medieval times to restore ritual expression. In 1845 Newman left the Church of England and was received into the Roman Catholic Church where he was eventually granted the rank of cardinal by Pope Leo XIII. He was instrumental in the founding of the Catholic University of Ireland, which evolved into University College, Dublin, today the largest university in Ireland. Newman’s beatification was officially proclaimed by Pope Benedict XVI on 19 September 2010 during his visit to the United Kingdom. His canonisation is dependent on the documentation of additional miracles. 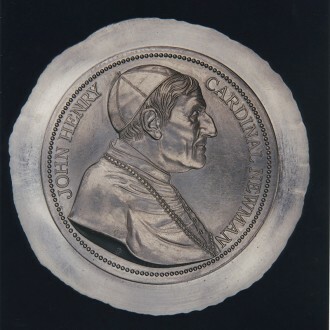 This medal was commissioned and struck by Thomas Fattorini Ltd of Birmingham. The lead proof is illustrated.